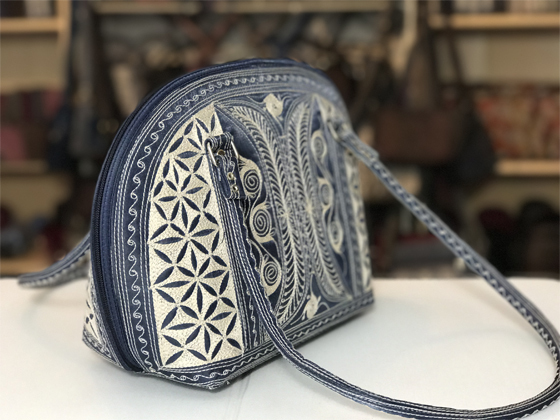 Laga handcrafted free motion embroidered vegan Ria Cross Body translates to “cheerful.” How fitting! 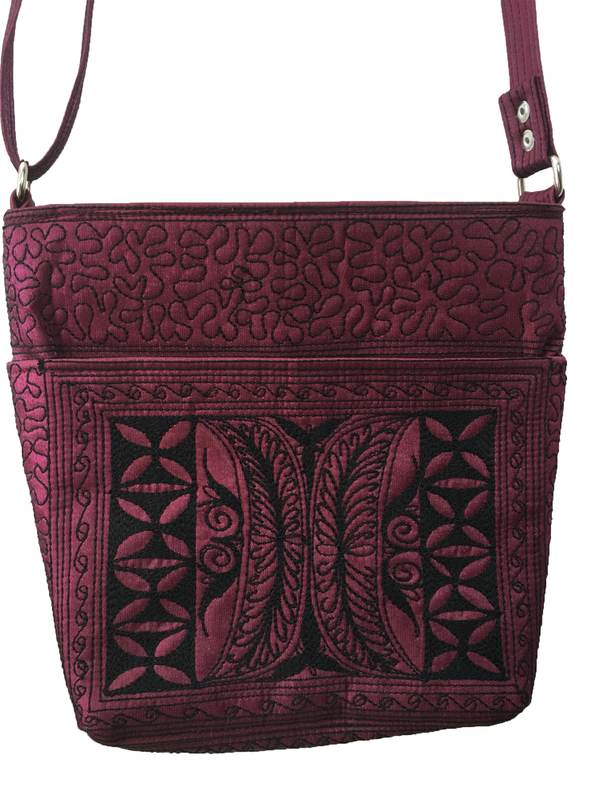 This adorable Laga Cross Body features a flat strap. Very comfortable to wear and fully adjustable. 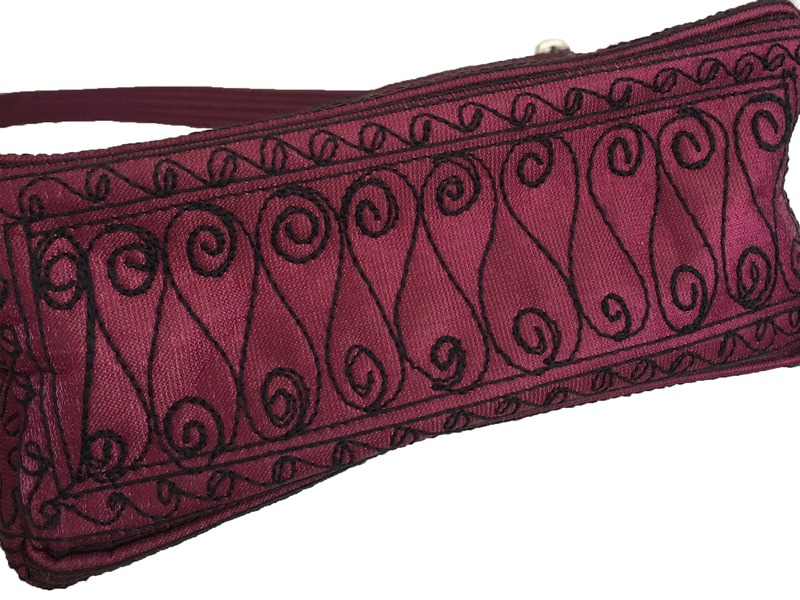 Has a sturdy silver-tone slide so you can wear it across your body or over the shoulder. 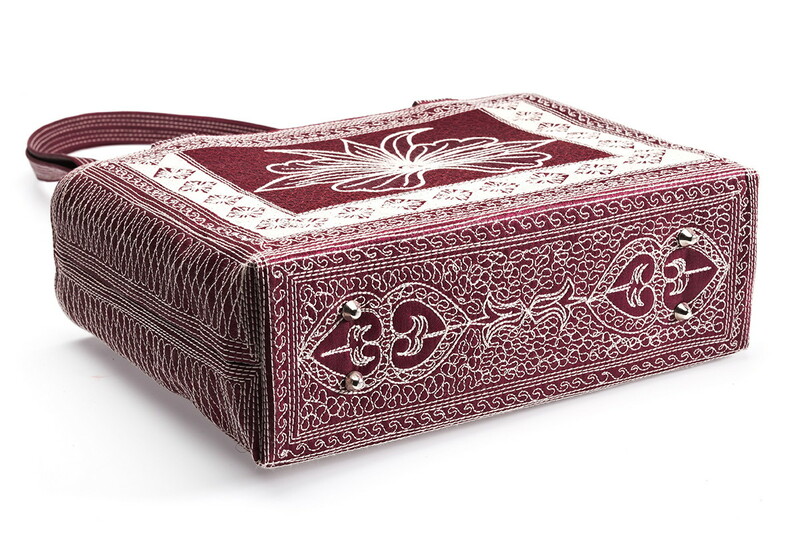 The embroidered outside flap is embroidered in the same traditional pattern. 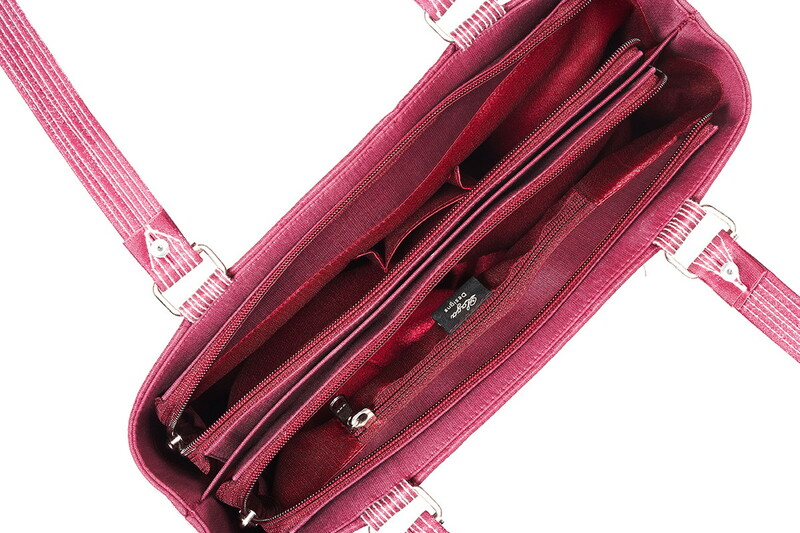 Covering a small zip pocket which is concealed under the flap. 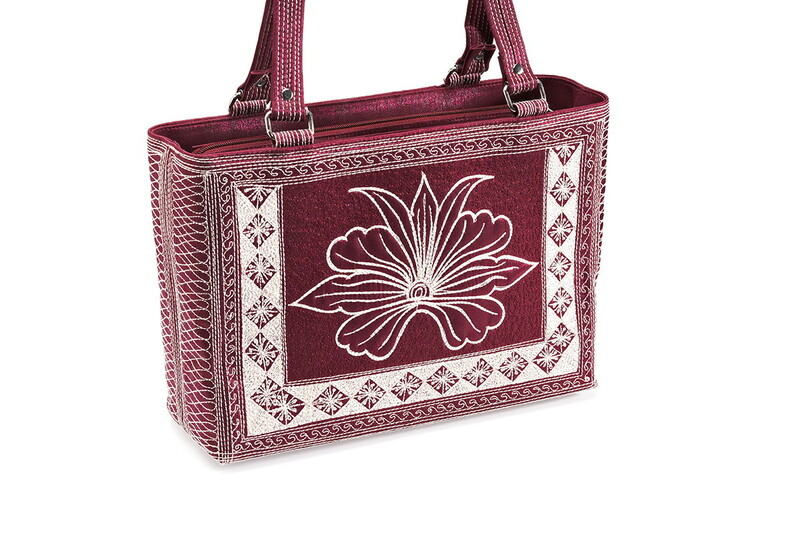 The bottom of the zip pocket and handbag are stitched with a delicate freehand looping pattern. 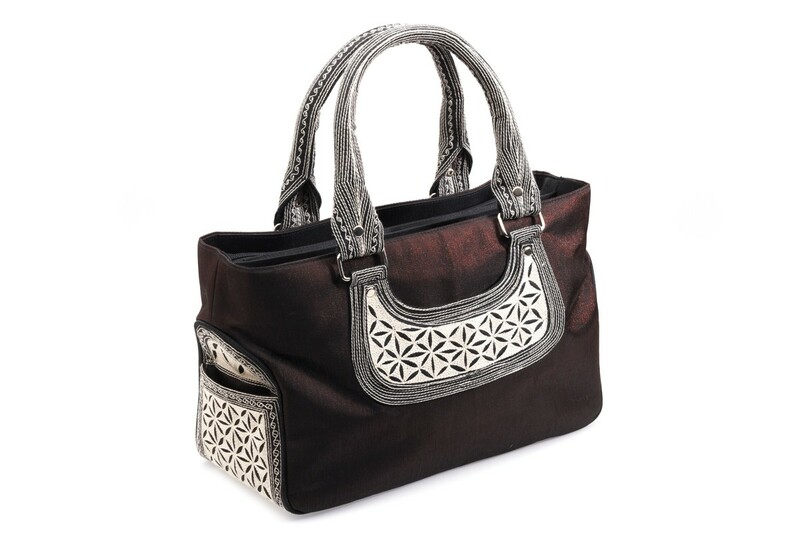 Features one interior compartment with silver-tone zipper and an exterior open pocket on the back. 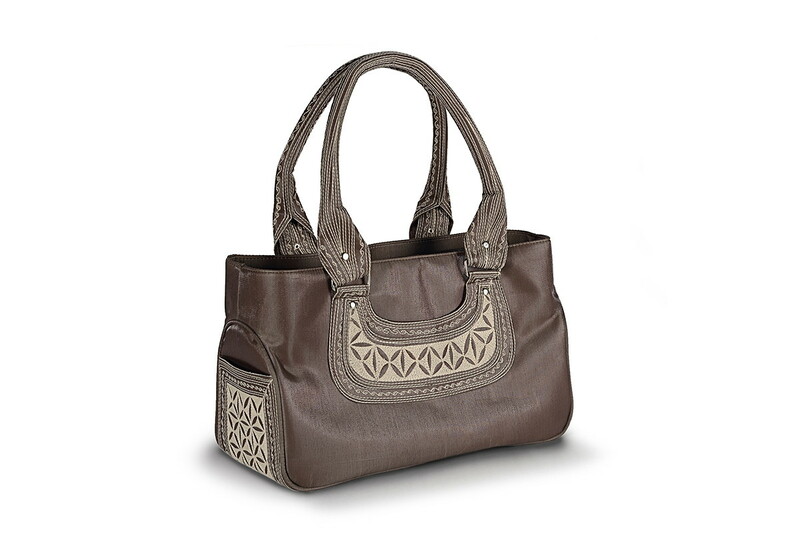 I have this bag in brown and cream and, as usual, I’m happy with the Laga quality. 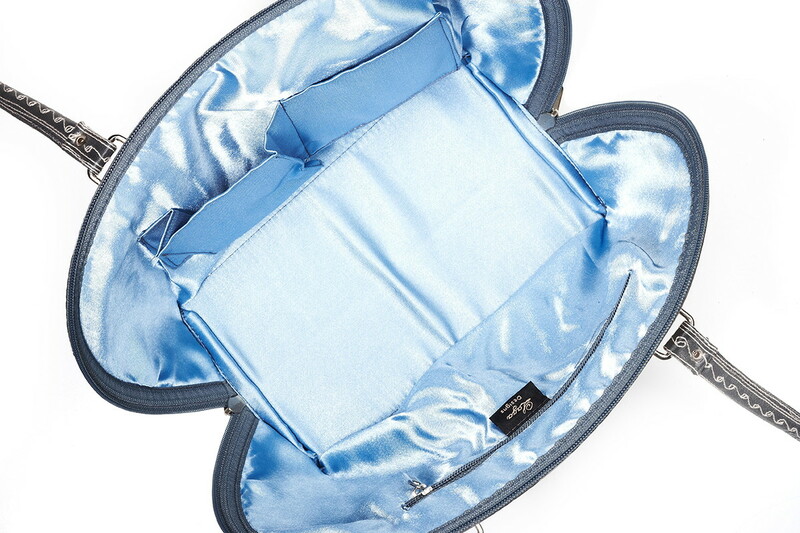 Under the flap is an oval zipped area perfect for lip gloss, mints, and other small objects. It has a small pocket on the back. The secure zipped pocket area holds quite a bit. It’s a nice small size bag. Gorgeous! Always receiving compliments!! Feels good to carry around. 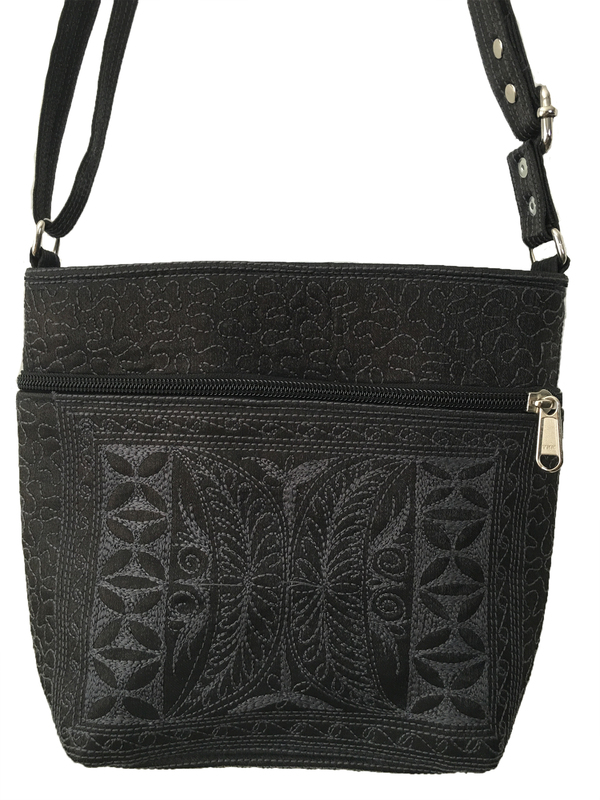 Love the front pocket for carrying small items that I use occasionally. Surprising how much I can fit in this pocketbook. 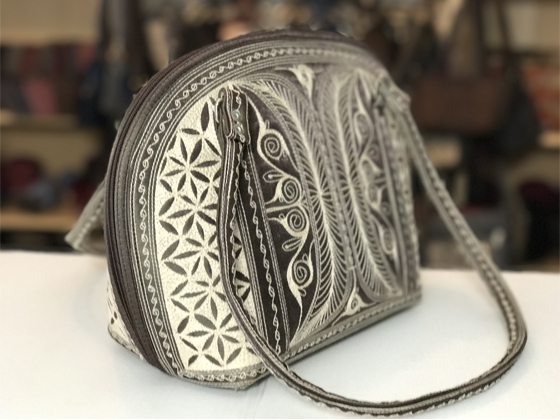 Great quality and beautiful to carry!